An important question for policy makers, in the G20 and beyond, is how to bring climate action into the broader sustainable development agenda. Objectives like energy poverty eradication, increased well-being and welfare, air quality improvement, energy security enhancement, and food and water availability will continue to remain important over the next several decades. There have been relatively few scientific analyses, however, that have explored the complex interplay between climate action and development while simultaneously taking both global and national perspectives. The CD-LINKS project will change this, filling this critical knowledge gap and providing much-needed information for designing complementary climate-development policies. 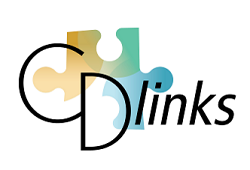 CD-LINKS has four overarching goals: (i) to gain an improved understanding of the linkages between climate change policies (mitigation/adaptation) and multiple sustainable development objectives, (ii) to broaden the evidence base in the area of policy effectiveness by exploring past and current policy experiences, (iii) to develop the next generation of globally consistent, national low-carbon development pathways, and (iv) to establish a research network and capacity building platform in order to leverage knowledge-exchange among institutions from Europe and other key players within the G20. Through six highly integrated work packages – from empirical research to model and scenario development – CD-LINKS will advance the state-of-the-art of climate-development policy analysis and modelling in a number of areas. The project aims to have a pronounced impact on the policy dialogue, both nationally and internationally: an important outcome of the project will be a list of country-specific policy recommendations for effectively managing the long-term transformation process. These recommendations will point out opportunities for policy synergies and at the same time respect political and institutional barriers to implementation. Simulation models are created in which the future energy consumption is calculated through the expected increase in population, renewable energy and the extractable amount of fossil fuels. However, these models have inherent uncertainty and it is not possible to rely on the results of only one model. One of the benefits of collaboration with overseas research institutions is that these models can be compared and the research results can be affirmed. Another benefit is that through this participation, information can be collected about international research activities and it is possible to appeal domestically in Japan with this participation to other Japanese stakeholders, for example to attract good researchers and to build networks. In order to participate to this project, the National Institute for Environmental Studies (Japan) applied for external competitive funding (within Japan) as their research costs in this project were not covered under the Horizon 2020 budget. However, participation from Japan was an important point for this proposals to be accepted by the European Commission. Apart from Japan, the United States, India and China were also invited to participate into this project. The Japanese partners in this project used external competitive funds (from Japan) to facilitate their participation in this project.